Reports are coming in that the likable Dell Streak will be arriving on the Dell website starting next month for $500 dollars. That is the price for the gadget unlocked, and thus not tied to any specific provider. 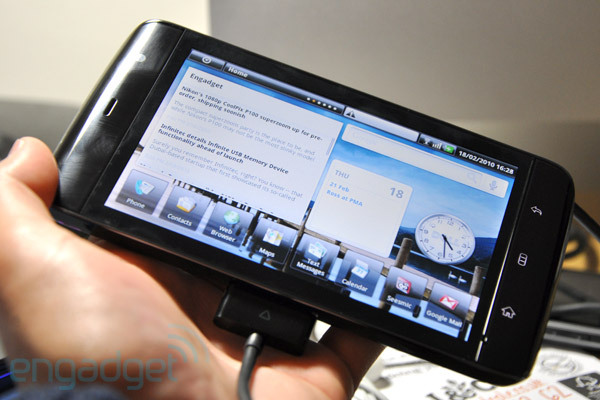 If you have missed the news boat so far on the Streak, it is a 5″ android device that is something of a hybrid tablet and phone. Sporting a larger screen than most smartphones, it is has more real estate for you to work with, but still handles calls. Will it fit in your pocket? Probably, but just. It is something of the offspring of a Nexus One and an iPad after a crazy night of partying. Just what to call the Streak is not that important, what matters is the device itself, and so far people seem to be eyeing the tablet/phone with lust. Note that as the device is supposed to appear with AT&T ‘later this summer’ we can expect to see a subsidized version at some point in the near future. It looks like this, don’t you want one?